Last weekend was all about organization! I’m finally feeling all caught up from the holidays – it only took me half of January! Among other organizing projects, I transferred all pertinent information from my 2012 planner to my new planner. One thing I always struggle with each year is remembering everyone’s birthday before it’s too late to send a card. Pinterest always has an answer, of course! I came across this pin and couldn’t get it out of my mind. 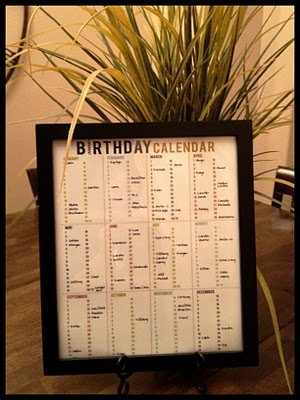 Perfectly simple but brilliant – all the year’s birthdays in one place. 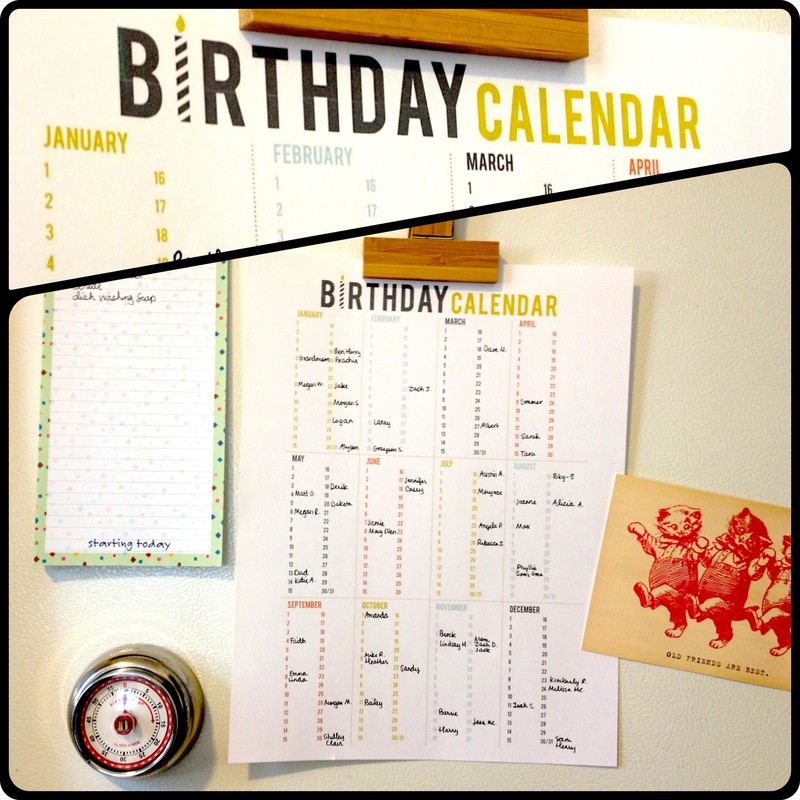 Follow the link and choose from five printable birthday calendars. I liked this simple one-page printable from Lemon Squeezy. 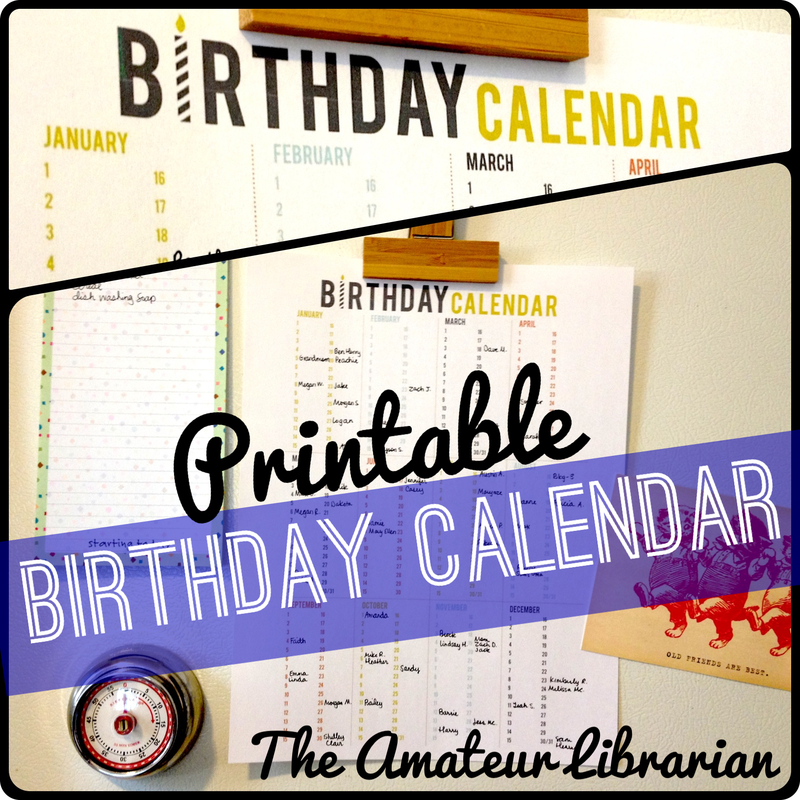 Print, write in the birth dates you need to remember, and you’re good to go! 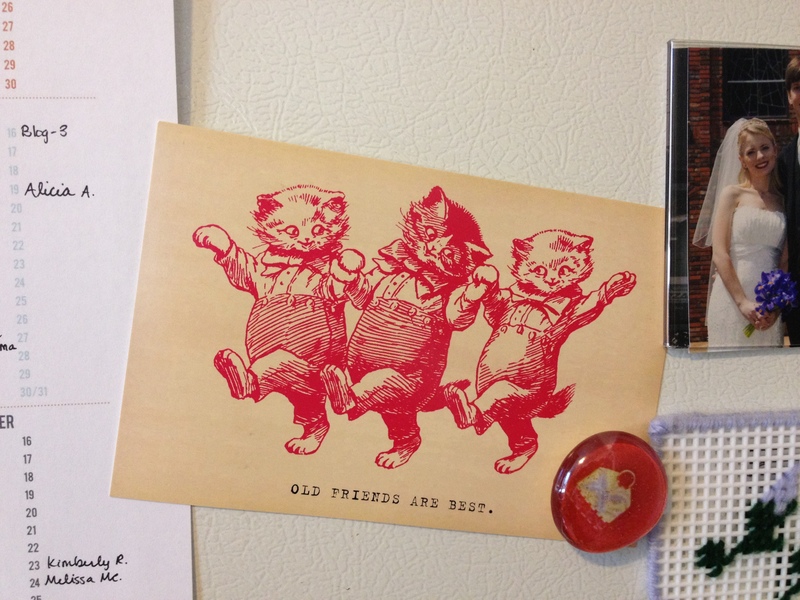 Of course, you could laminate or frame your list, but I like keeping it front and center on the fridge. 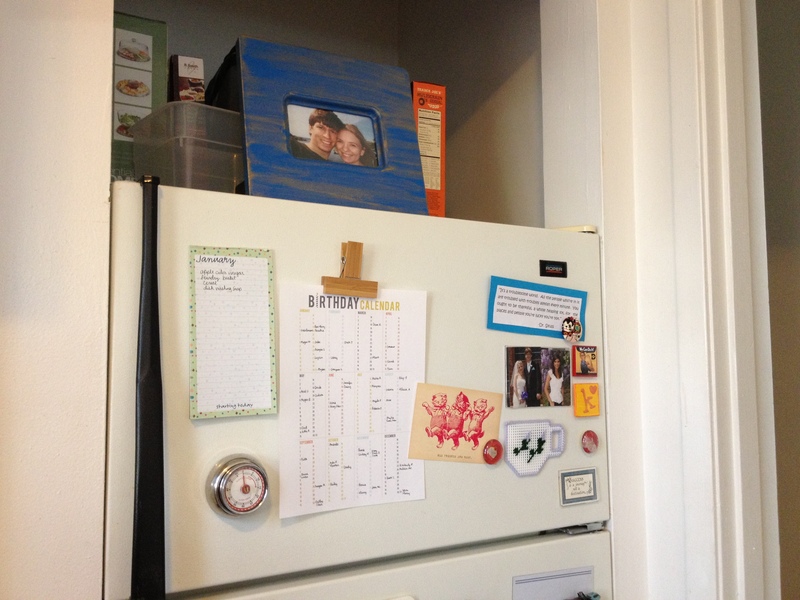 Super duper simple solution to getting those birthday cards out on time – thanks to Pinterest again! Previous Post Nerd Alert: Math Can Be Fun!